It is cold where I live today. 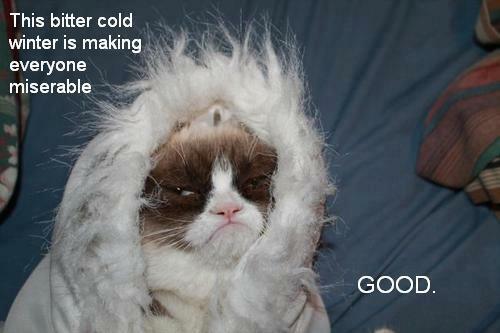 Really, really cold. So rather than feeling sorry for myself (OK, in addition to feeling sorry for myself — seriously, there was a windchill of -11 when I left my house this morning), I decided to list the Top 10 snowy, wintery stories from science fiction and fantasy. 10. Superman's Fortress of Solitude — Set in an Arctic wasteland, Superman's retreat allows him to remove himself from the demands of the world. Over the years, different comic runs have detailed the features of his crystal fortress, in which he can conduct science experiments, relax in his trophy room and exercise in his super-gym, which features a swimming pool of molten lava. The Fortress of Solitude is perhaps better know from its appearances in the films, in which Superman accesses memory crystals that contain his father's artificial intelligence. While everyone longs for her own Fortress as a retreat from the world, I do have a confession: Supe's Fortress always left me, well, cold. He needs to invest in a sofa or two, don't you think? Some throw pillows, maybe? He may be super, but he's no interior decorator. 9. The X-Files: Fight the Future — The X-Files' first (and far superior) big screen outing ends with our intrepid agents battling free of an underground research lab in Antarctica that turns out to be a big ol' spaceship. And if my memory serves, this is the first time that we see a full-on alien spaceship in The X-Files. 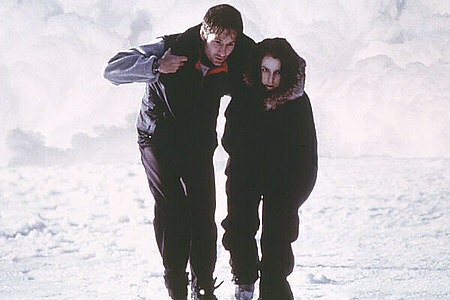 Even more pressing, how did Mulder and Scully get back from Antarctica? They're pretty darn stranded once that ship takes off, what with Mulder's Snow Cat having run out of gas. 8. 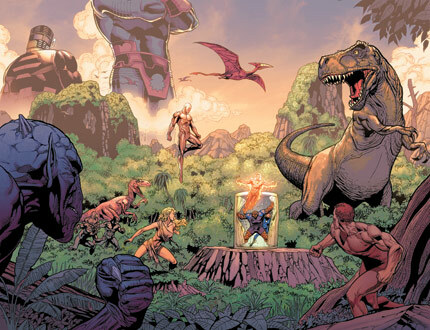 Marvel Comics' Savage Land — I love the contradiction of Savage Land. It's a tropical jungle that you access through the Antarctic wastelands. As Marvel readers know, it was created by the alien Nuwali as an interplanetary game perserve, and its denizens have spilled out into countless comics, particularly the Uncanny X-Men. My favorite storyline? When an Antarctic dinosaur escaped from the jungle and fought Captain America after receiving a brain upgrade. You say there's snow on the other side of those volcanoes? I don't believe you. Continue. 7. The Day After Tomorrow — This movie is terrible. But the onslaught of the cold is terribly entertaining, too. That instantly popsicled helicopter pilot. A young Jake Gyllenhaal trying to outrun the frost inside a public library. Snow falling in Mexico as desperate Americans try to cross the border. 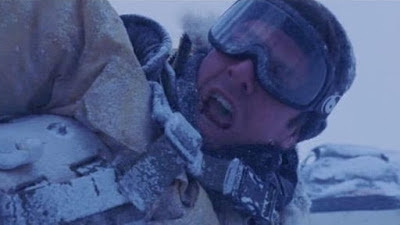 The stoic, snowy trek of Dennis Quaid that ends just as aircraft arrive at his location, which to me indicates that he could've just hitched a ride and saved himself all of that frostbite. It's ridiculous, and yet I will watch it on basic cable every single time it's on. Wouldn't his ears have fallen off by now? 6. The Terror — Dan Simmon's doorstop of a novel tells a fictionalized account of the real-life HMS Erebus and the HMS Terror as they try to force the Northwest Passage in the Arctic. Misfortune piles on misfortune, and Simmons layers rich historical details over his own, horror-tinged take on what may have gone down aboard the ships. 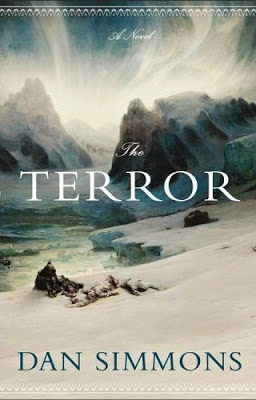 The Erebus and the Terror become trapped in the ice, and the men on board watch as their food supplies (and their sanity) dwindle while snowstorms rage outside. The fleshed-out characters and spooky supernatural touches will stay with you, as will the imagined chill of a mad journey across the snowy Arctic. 5. The Lion, The Witch and the Wardrobe — The first book in the Chronicles of Narnia finds the mysterious land shrouded in 100 years of winter. Even worse, it's always winter but never Christmas, which we all know is what makes these abysmal temperatures tolerable. The unnatural winter is the work of the White Witch, who's holding the land in thrall to her ice and snow. Because of this book, I always associate Turkish Delight (which, admittedly, I've never tried) with wintertime. 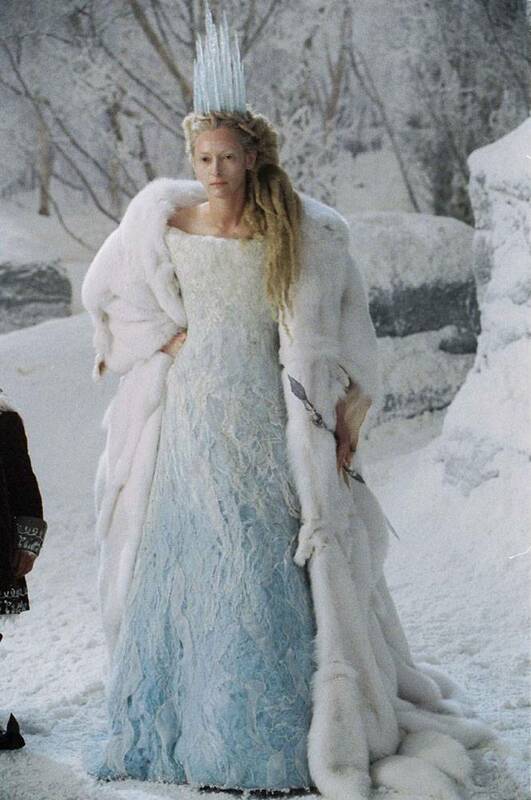 And because of Tilda Swinton in the movie version, I always associate the White Witch with fabulousness. 4. 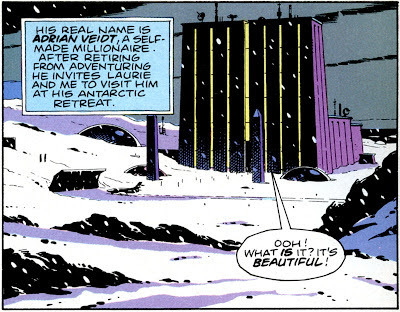 Watchmen — The classic graphic novel reaches its climax in the Antarctic, where Ozymandias sits in his icy fortress, watching the aftermath of his plans to save humanity from itself. It's also where Rorshach and Dr. Manhattan have their final, crushing showdown. The ambiguity of the happy ending that Adrian Veidt longed for is as bleak as the landscape around him. Were I a self-made millionaire, my fortress would be somewhere less snowy. 3. 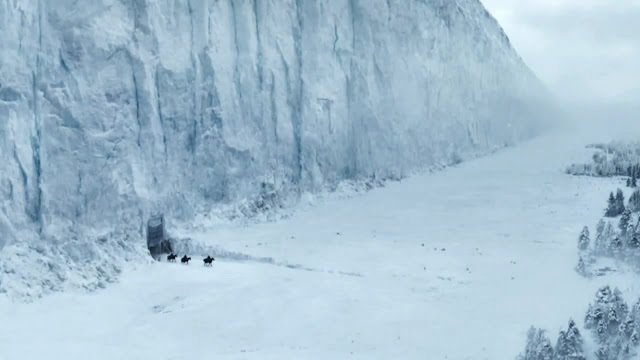 The Wall and the White Walkers from Game of Thrones — "Winter is coming," we were warned from the start of this book series-turned-HBO show. And nowhere is winter fiercer than north of the Wall, that solid ice fortification stretching 300 miles wide and 700 feet in the air. In this bitter climate, the Sworn Brothers of the Night's Watch keep the people of Westeros safe from the unfriendly creatures on the other side. The season 2 finale added a chilling sight in an already frigid location: an immense army of the zombie-like White Walkers as they headed for the Wall. And you think it's cold where you live. 1. 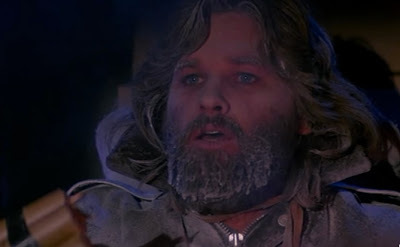 Hoth from Star Wars —Obviously, one cannot make a sci fi/fantasy cold weather story list and not include Hoth. This snow- and ice-covered planet almost proved fatal for Luke Skywalker in Episode V. The poor guy escapes from a wampa only to be forced to seek shelter inside the body of his dead tauntaun. (Poor tauntaun! I've always felt bad for it.) Both gross and badass, the action on this planet heralded the darker tone of the rest of the movie. 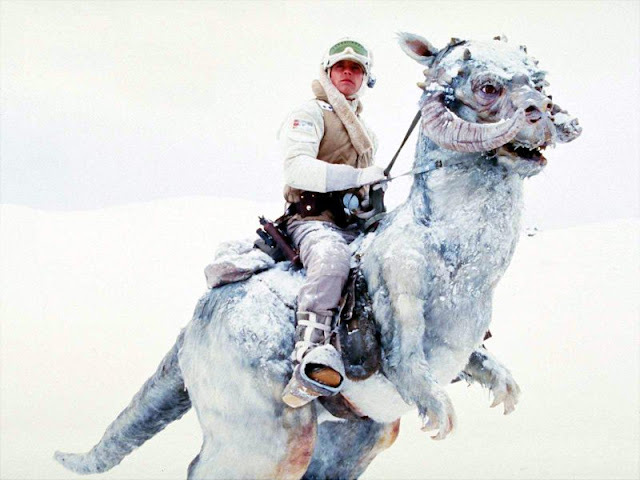 Seriously, will no one weep for the tauntaun? Did I miss any of your favorite cold-weather scenes or stories? Hit the comments and let me know. Rather than the tropical Savage Land, I'd take frosty Hogsmeade in Half-Blood Prince, or picturesque Hogwarts at Christmas time in the first movie. Or how about Antarctica in the first episode of Stargate: Atlantis, where Richard Dean Anderson is in a helicopter that's accidentally shot at by an alien "missile". Then they go a hundred feet under the ice to an ancient alien outpost. But I'm still ready for Spring!